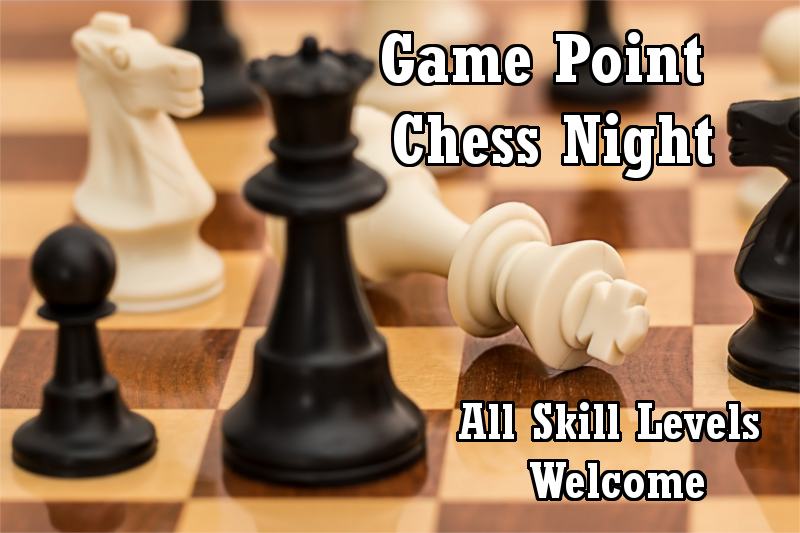 Chess Night happens monthly on the second Monday of the month. Pick up games happen throughout the night, usually timed games (through chess timer phone apps). We have a lot of sets, so just show up and play!